Over the last few years, the backpack has evolved from a school goer’s necessity to everyday carry to a hitchhiker essential, and even a fashion statement. But it doesn’t matter what you use it for, if your backpack sees regular use, it is eventually going to need a thorough wash. It could have been used to carry around office stationery, have had sweaty or dirty clothes or maybe it has survived a rugged hike. Backpack sizes also may differ from rather small to very large ones, and you can read all about them here. Over a period of use, a lot of dust, moisture or even food particles can accumulate over and inside the backpack and make it dirty and smelly. And as impossible it may seem, backpacks that are built to endure everyday wear and tear are not all that difficult to clean. A lot of manufacturers use nylon in backpacks, which is easy to clean and can survive a machine wash. Some of the backpacks may need to be hand washed, because of the material they have been made from. Some backpacks have a waterproof coating on them, and it can be easily determined by touching the fabric on both sides. If one of the sides is smooth, and the other side not so smooth, there may be a coating over it. These backpacks should not be put in washing machines and should be hand washed. Washing a backpack from time-to-time will not only keep it clean but also extend its lifespan somewhat. You can head here to learn about choosing the right backpack for you. Here we will read about how to hand or machine wash a backpack. The first step to do this is to empty out your backpack. This needs to be done carefully and patiently. This is to make sure that you remove any items that can be damaged by water. The best way to do this is to turn out your pockets and let out any bigger objects that you may have had inside them. But like all pockets, they will have smaller particles of garbage and dirt stuck inside. To effectively remove the debris, you can use the laptop attachment of your vacuum cleaner. After you are done cleaning the pockets, leave the zippers open. Keep the removed items in a Ziploc bag so they can go back in their original place once the bag has been cleaned and dried. This way, you will not have to look for them all over the place once you need them. Also, this would be a good time to clean these items (hand towels, handkerchiefs, water bottles) so that everything you carry the next time is fresh and clean. Most backpacks come with labels with washing instructions on them. 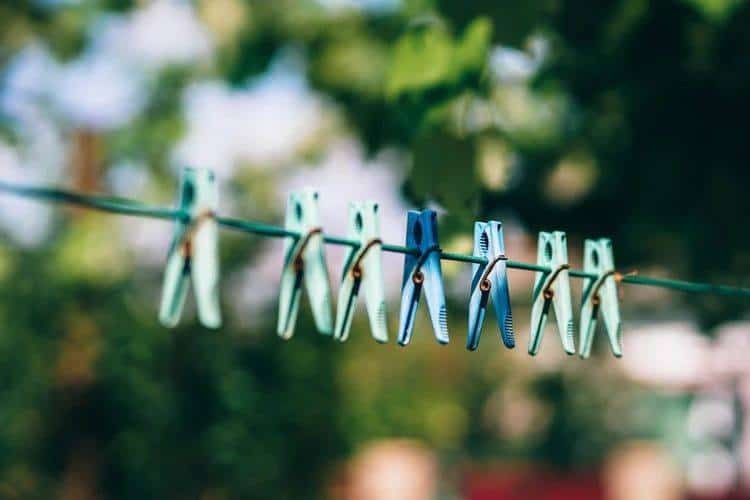 These are to make sure that you don’t end up damaging your backpack while washing them, and they will also inform you whether your backpack can be put into a washing machine or not. Most of the time these labels can be found inside the bag along the zipper. Read these labels carefully, as they contain useful information about your backpack. It will usually contain information whether your backpack is water resistant or not (like this one). 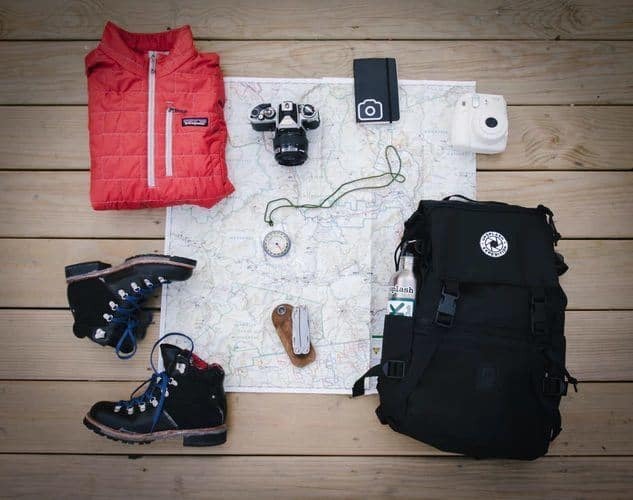 In the scenario that your backpack does not have a label, you should test out your washing agents on a small area to see if they adversely affect the fabric of your backpack. 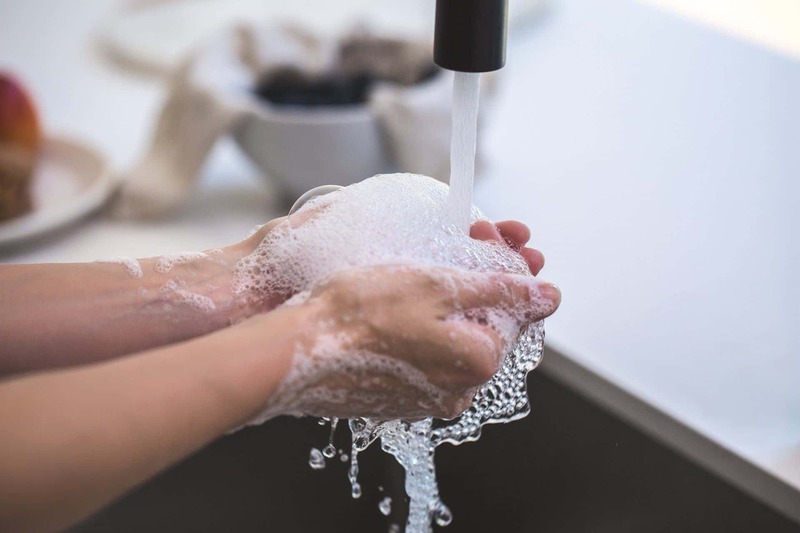 If it does not, you can go ahead with it, but if you see a change in color, you may want to replace the cleaning agent with something milder. If your bag has a metal frame inside it, remove it. A few models have a removable metal frame at the back for support. This frame should be removed before you start washing your backpack. 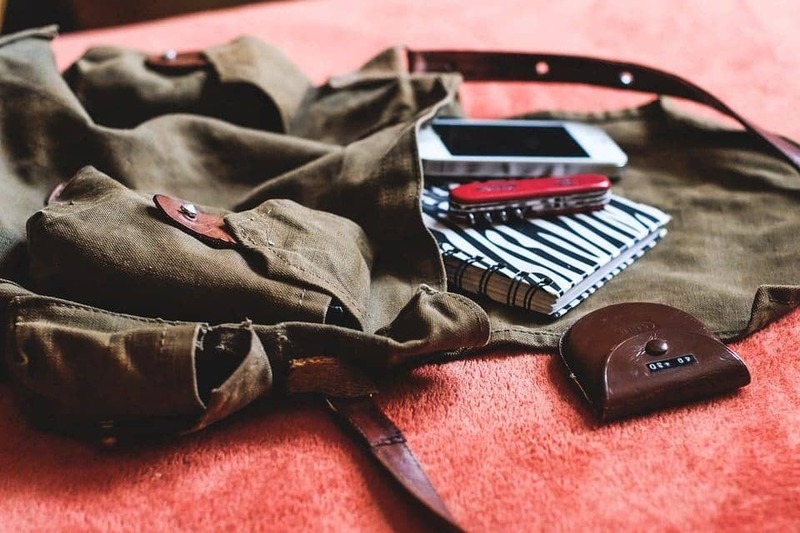 If your backpack has any other detachable pockets, remove them and soak them for washing separately, so that the entire bag gets a thorough cleaning. You can also take this time to snip off any loose threads that may have been bothering you. This will ensure that your backpack does not sustain any more damage during the washing. Do this if your backpack has stains which won’t go with ordinary dusting. For these, you can use a stain or grease remover. Spray it directly on the stain and use an old toothbrush to scrub as much stain residue as you can. Let the stain remover be on for another 30-40 minutes. This way, most of the stain will be gone once the bag is being washed. Alternatively, if your stains are not very old, you can use a weak solution of water and some liquid detergent on the stain, and scrub it with the toothbrush. Fill your bathtub (if you have one) or a large tub or your laundry sink with lukewarm water. This should be large enough for your backpack to be soaked in as you lay it out flat. Make sure the water is lukewarm and not hot, as hot water can either wash away or bleed the colors on your backpack (if you have a multi-colored one, this could ruin your backpack), or it can lock the stains in. You want to use a gentle detergent that has no dyes or fragrances on your backpack. 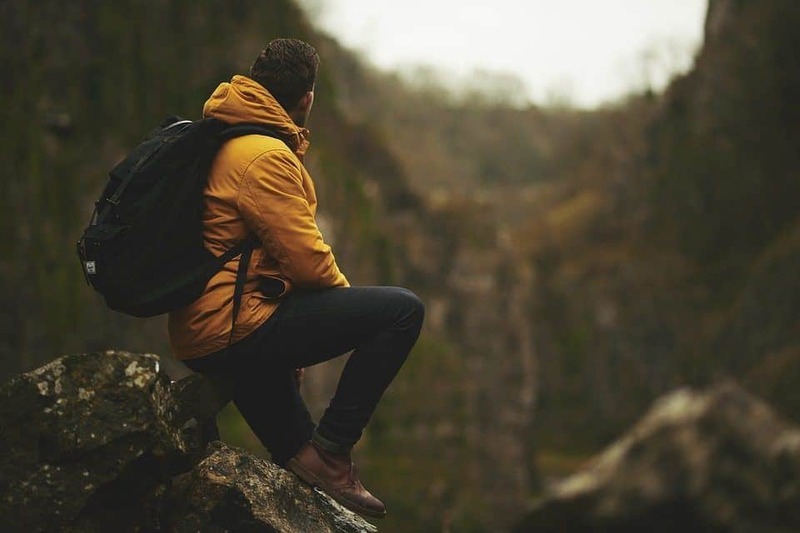 Any harsh or industrial chemicals can have an adverse effect on the fabric of your backpack and maybe chip away at the waterproofing that it has been coated with. Also, you want your backpack to smell neutral (because if you are a trekker, you would not want to smell strong detergent for hours on end). Lay out your backpack in the water (or not, if the washing instructions forbid it), and use a rag to clean away the dirt. You can alternate between a rag and a hard brush, depending upon the fabric of your backpack. If it is made out of canvas, for example, you can go ahead and use the hard brush. If it has a lot of mesh, use a sponge. For hard-to-reach places, you can use the toothbrush. You can take as long as you want with this process until you are satisfied that the dirt is being removed. Once you are done using soap, you will need to thoroughly rinse the backpack from as much soap as you can. Try and wring out as much water as you can, without damaging the shape of the bag. If you are afraid you will do that, you may want to lay it out on a towel and wrap the towel around it, and let the water be soaked. This way, you can get rid of large quantities of water. Now that you have rinsed the detergent and water out of the backpack, all you need to do is to hang it outside in the sun and let it dry. Hang it upside down if that is possible and leave the pockets hanging out and turned out as well. Let gravity work for you! Make sure the backpack is completely dry if you have plans to store it so that there is no formation of mold and you can avoid a nasty surprise when you need to use the bag again. The preparation to the point until you put your backpack in the washing machine is the same as washing it manually. Steps 1-4 (until using the stain remover) are the same. Once you have removed or weakened the stains, it is time for your backpack to go in the washing machine. Preferably, do not put the backpack as it is in the washing machine. If you have an old laundry sack, put the backpack inside it and then put this into the washing machine. The laundry sack will keep the dangling zippers or any other strings safely inside and prevent them from getting tangled inside the machine and causing any damage to the machine and the bag. If you do not have a laundry bag, you can turn the backpack inside out for the same effect. Use a liquid, gentle detergent, and set the washing machine temperature to either cold or warm water. Use the gentlest setting on your washing machine. After each spin cycle, the bag could be bunched up. You may need to straighten it out a few times before starting the spin cycle again. If your backpack is already turned inside out, all you need to do is hang it upside down on a clothesline, preferably upside down. This will ensure that all the residual water will drip out gradually. You can do this indoors, but it is recommended that you do it when then the sun is out. This will ensure that all the moisture inside the bag is evaporated and that stops mold from forming. As before, you will have to wait until the backpack is completely dry. If you have followed all the instructions, there is a good chance that you now have a clean bag. Once your backpack is clean and dry, you may need to treat the zippers by lubricating them so that they do not rust. This is as easy as running a crayon or a paraffin candle over the length of the zipper. Also, you don’t have to wash your backpack on a regular basis; cleaning it once or twice a year is great too. This is because excessive washing can damage the fabric of your bag and damage its water-resistant coating, if it has any.